The latest issue of the newsletter of the ICOM-CC Working Group on Ethnographic Collections features two articles highlighting research by a student and a faculty member of the UCLA/Getty Program. The first article, written by 3rd year student Linda Lin, evaluates methods for characterizing native-processed gut materials used by Alaskan cultural groups using information obtained from ethnographic literature on gut manufacture and use, examining marine mammal geographic ranges, and looking for distinguishing morphological traits of intestinal material. Texts on mammalian biology and histology were also used to understand structural and morphological features of sea mammal intestines and determine whether differences could be identified between the gut materials of different marine mammals. The second article discusses research conducted by Prof. Ellen Pearlstein, in collaboration with scientists at the Getty Conservation Institute, to study the fading behavior of selected feathers found in anthropological collections. The goal of the research is to create lighting display guidelines for anthropological featherwork. The formulation of these guidelines will take into account an accurate understanding of feather color chemistry, cultural use of the feathers including color selection and exposure through prior use, and accelerated fading with and without ultraviolet radiation. Categories: Uncategorized | Tags: Alaska, display, Ellen Pearlstein, fading, feathers, gut materials, intestine, lighting, Linda Lin, marine mammals, morphological traits | Permalink. 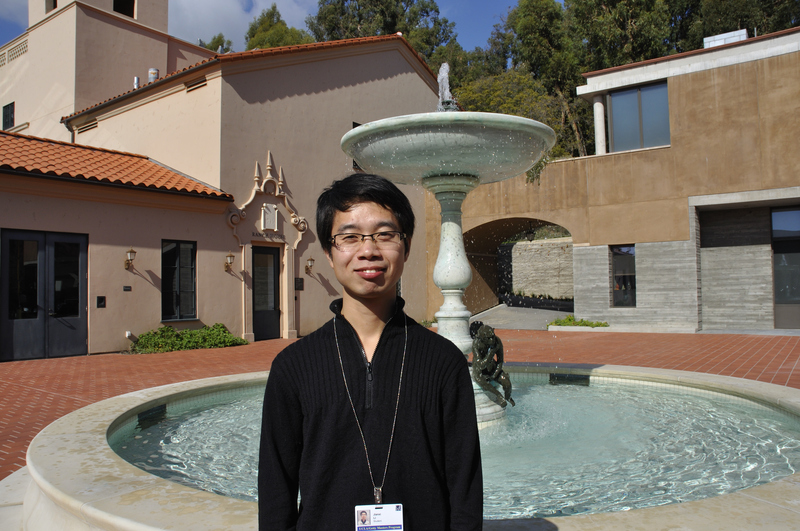 In January, the UCLA/Getty Conservation Program welcomed two visiting students from China. Yali Yun and Jianxi Li, two doctoral candidates at the University of Science and Technology Beijing, will be conducting research for their dissertations on ancient metals and be working with Dr. David Scott. 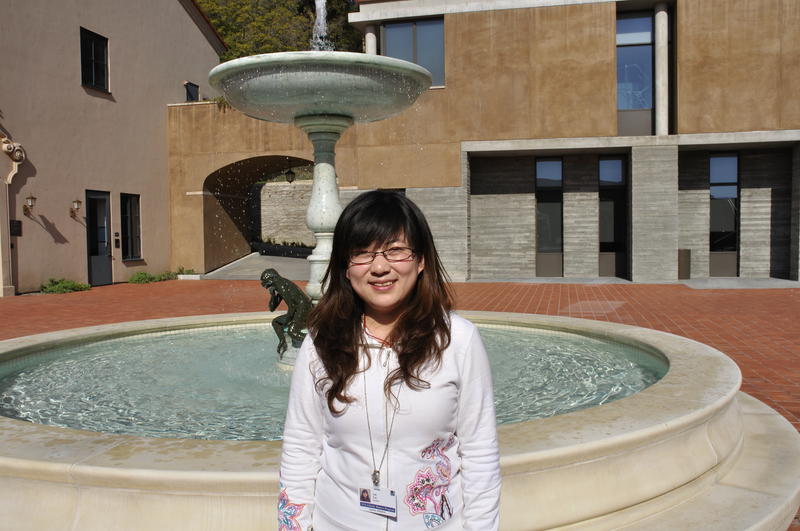 Yali Yun’s research focus is on technical studies of ancient metal in Western Dian (Yunnan) China. She is also interested in researching methods used in Chinese traditional art and crafts. Jianxi is focusing his research on the early metallurgy of central China. He is also interested in ancient Chinese inscriptions and texts which refer to metals and metallurgical practices. Categories: Uncategorized | Tags: central China, China, David Scott, Jianxi Li, metallurgy, research, Western Dian, Yali Yun, Yunnan | Permalink. In December 2009 UCLA/Getty graduate student, Lauren Anne Horelick gave a public talk at the Alaska State Museum about her third year internship work. Images posted here are from this presentation, which focused on the development and goals of the Alaska Fur ID project. 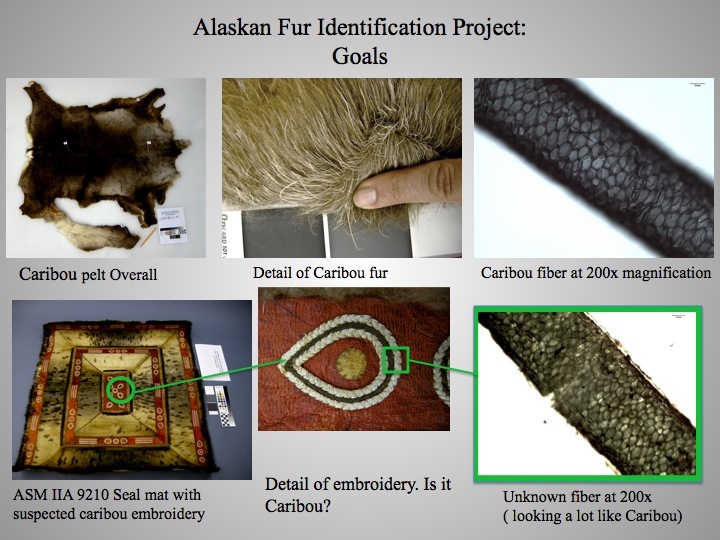 Pelts and photo-micrographs of animal hairs can be seen on the Alaska Fur ID web blog, which will help aid in correct identification of furs seen on cultural objects. Conservator Ellen Carrlee conceived of the Alaska Fur ID project to help aid in correct identification of furs seen on Alaskan cultural objects. The project will culminate in a web blog that provides key insights to distinguishable features of furs. The goals of the blog are to help individuals to make quick identification of fibers through comparison of the images provided on the blog. 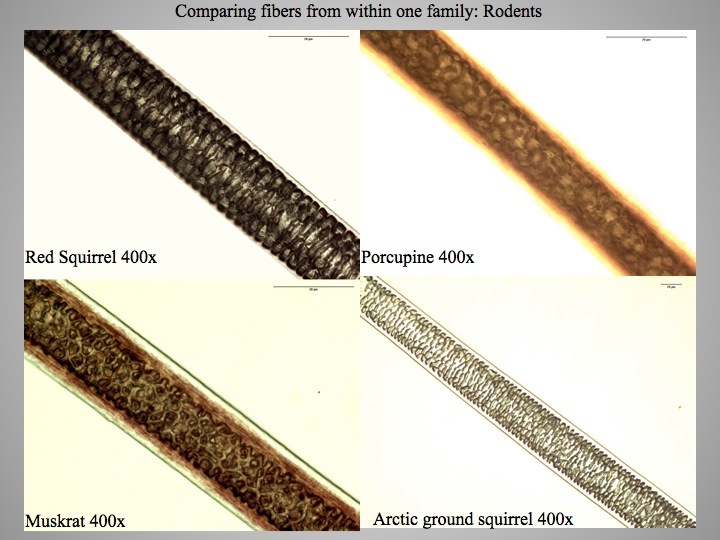 Examples of PLM images of guard hairs from within the Rodent family. Correct identification of furs can inform attribution, meaning, trade relations, authenticity, and help pin-point historical periods. With these broad goals in mind Ellen Carrlee and Lauren Horelick began recording macroscopic information about furs, such as cultural use and geographic distribution. 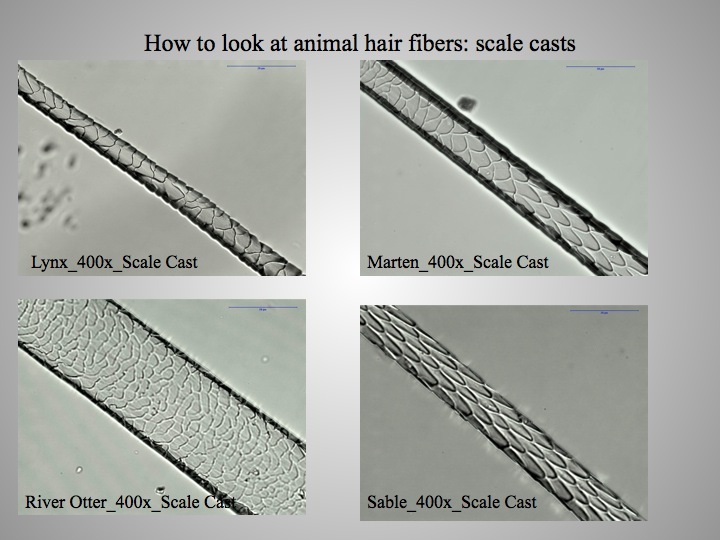 Information was recorded with hundreds of photographs of pelts and taxidermy specimens, in addition to photomicrographs of individual hair fibers. Images taken with the polarized light microscope (PLM) were annotated to help pinpoint certain diagnostic features of animal hairs to aid with identification. 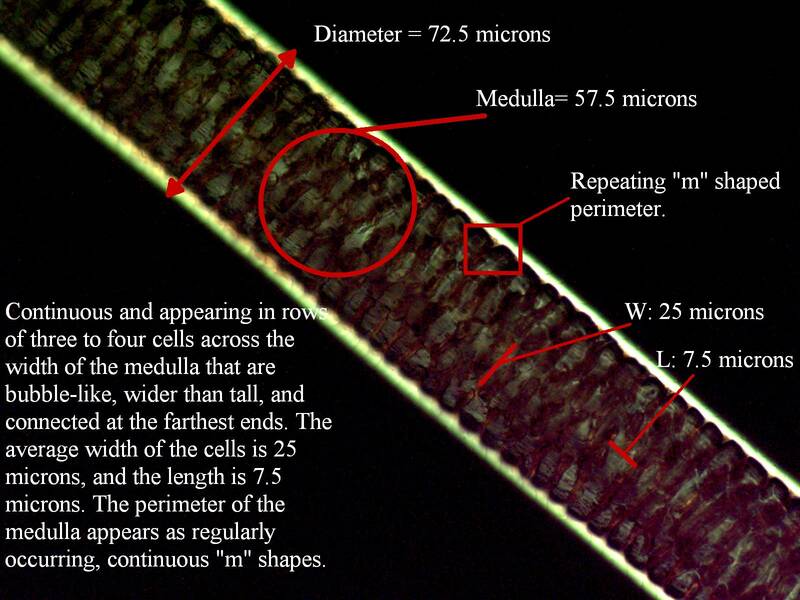 Example of an annotated image of a guard hair of Red Squirrel. Each animal has its own page of information with macro and micro-photographs in addition to images of scale casts, which are impressions of the cuticle, the outermost layer of a hair. Examples of scale casts from a variety of different animals. It is our hope that people who use the Alaska Fur ID blog will contribute their own observations and methods of analysis so that the blog can be utilized by a variety of academic fields. Targeted fields are; conservation, zooarchaeology, biology and forensics. The Alaska Fur ID project will be accessible on the web in the spring of 2010. Categories: Uncategorized | Tags: Alaska State Museum, Ellen Carrlee, fur identification, hair fibers, Lauren Horelick, photomicrographs, polarized light microscope | Permalink.